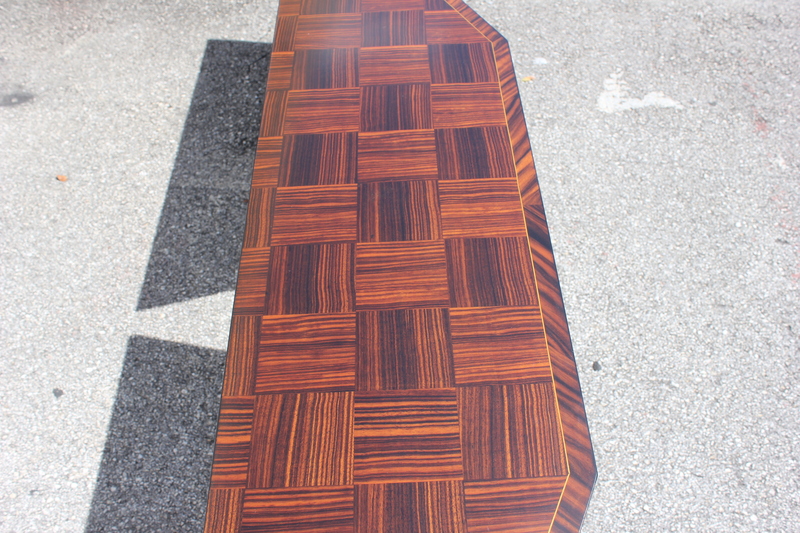 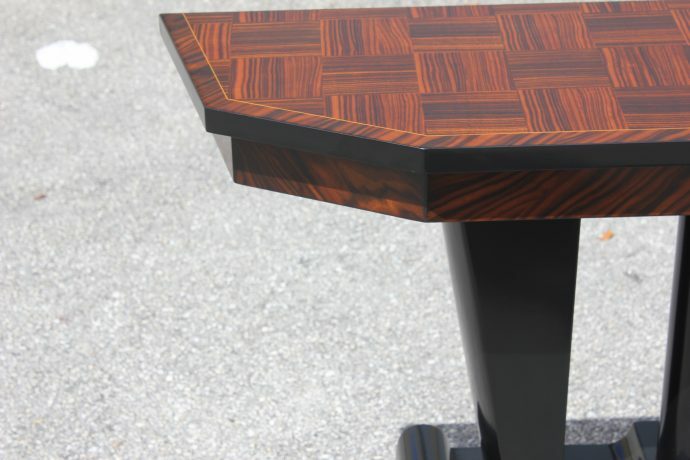 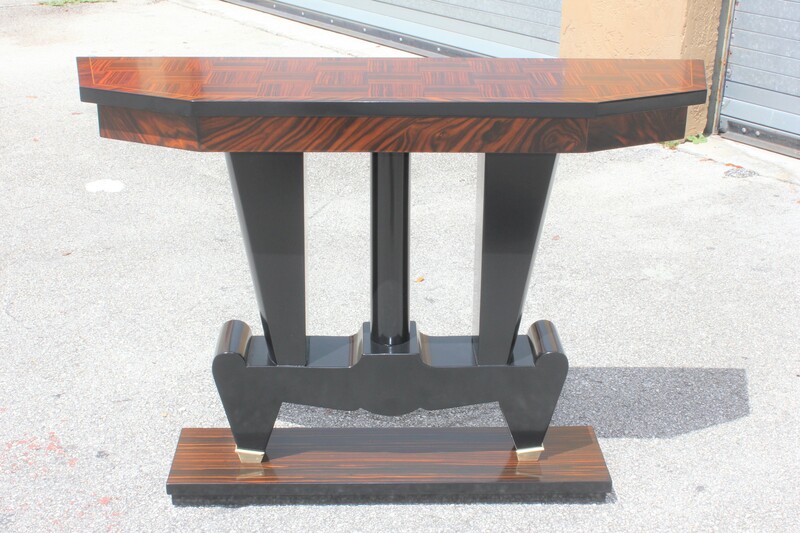 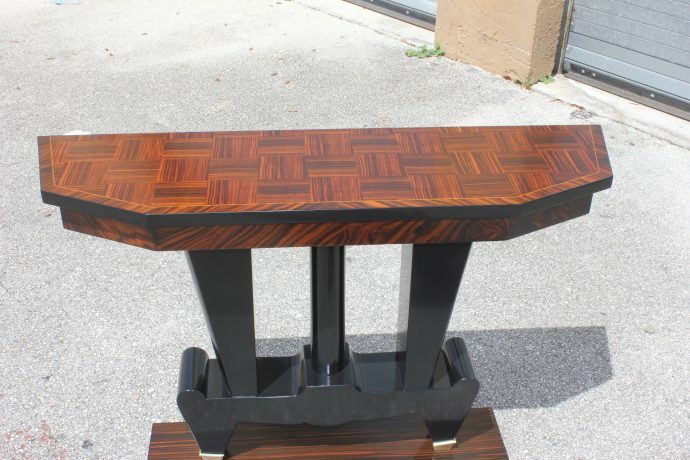 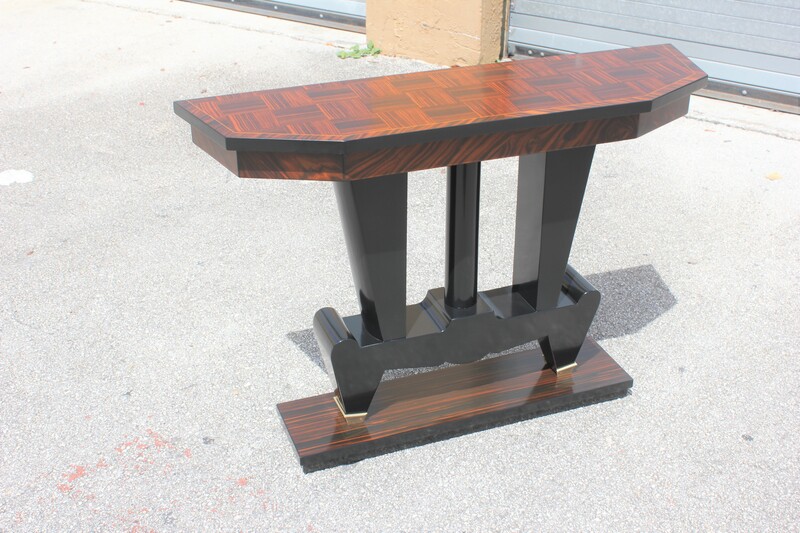 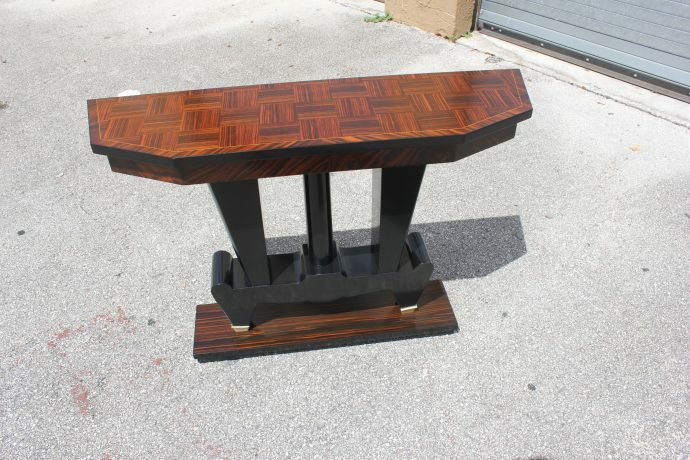 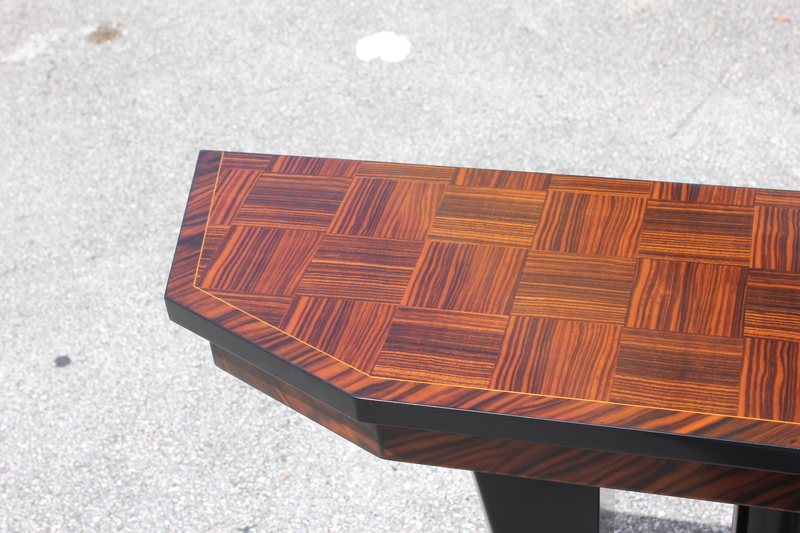 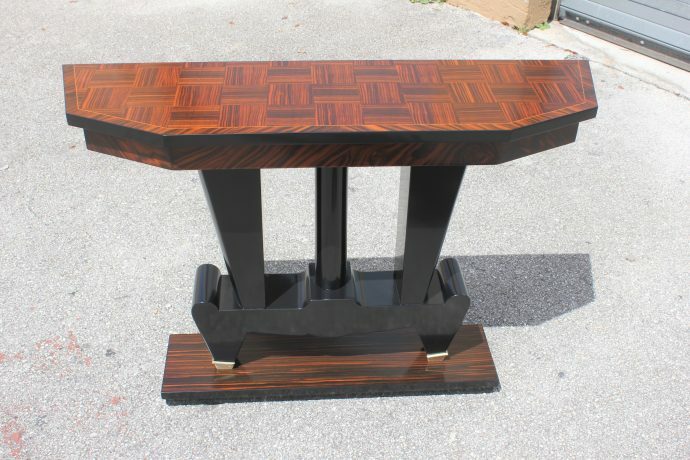 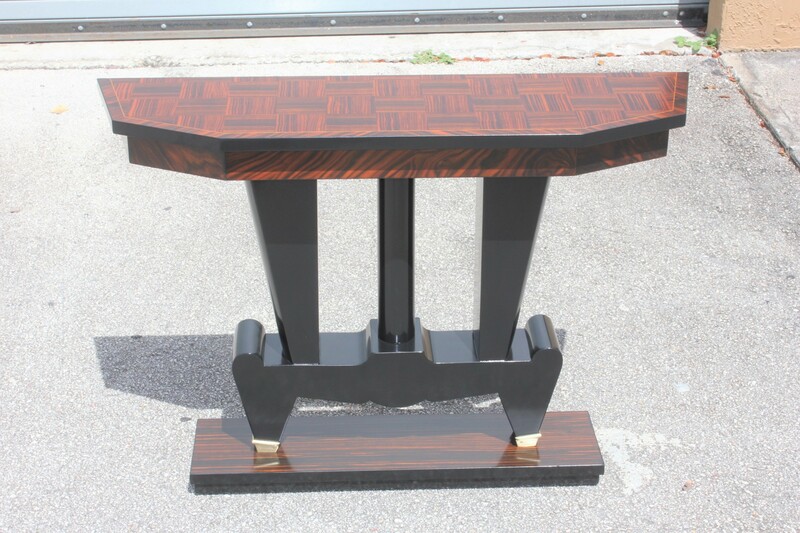 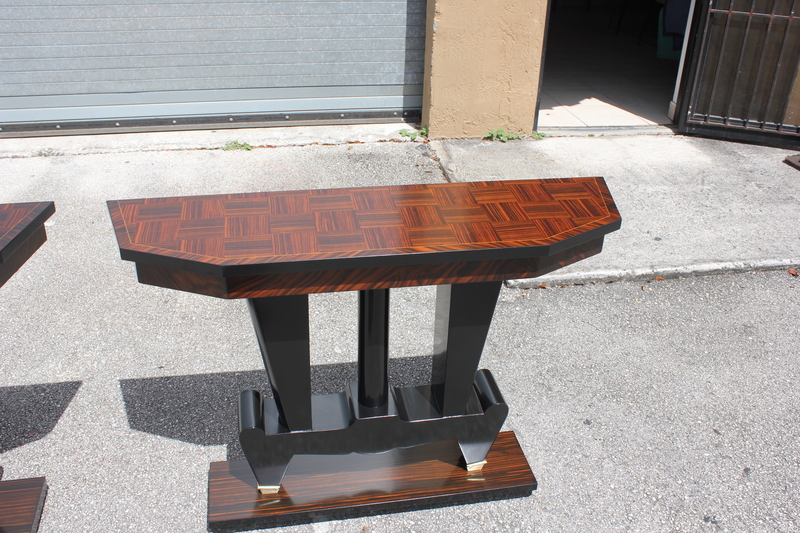 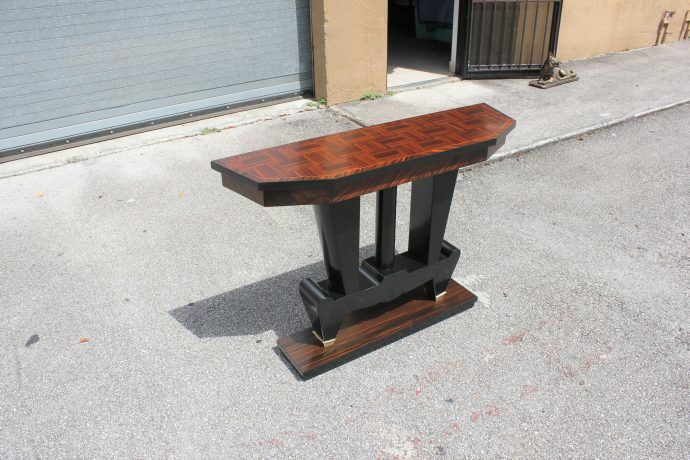 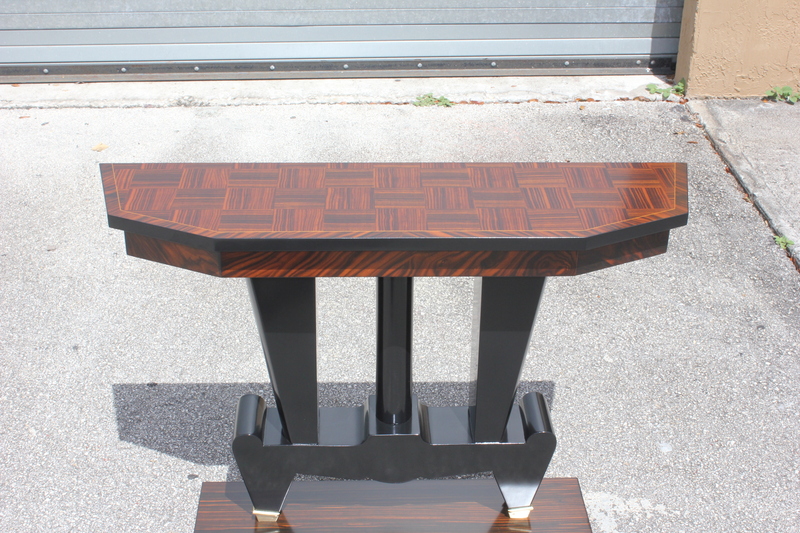 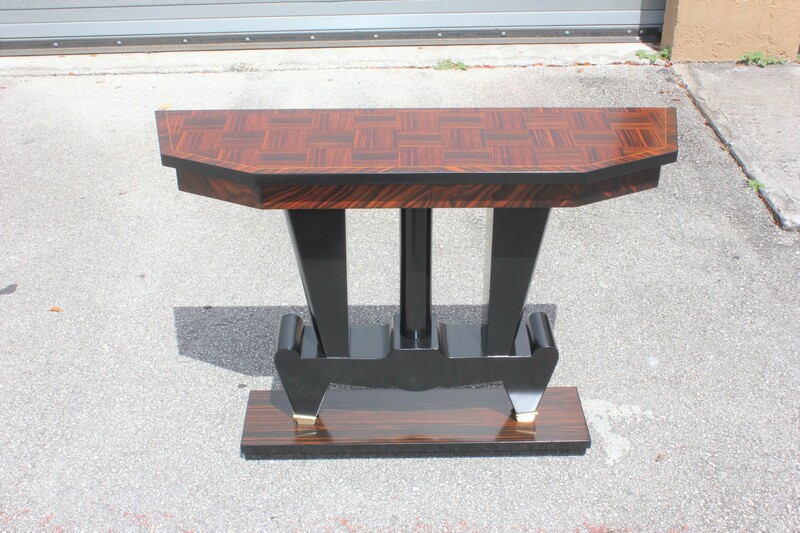 Unique French Art Deco Exotic Macassar Ebony Console Tables, circa 1940s. 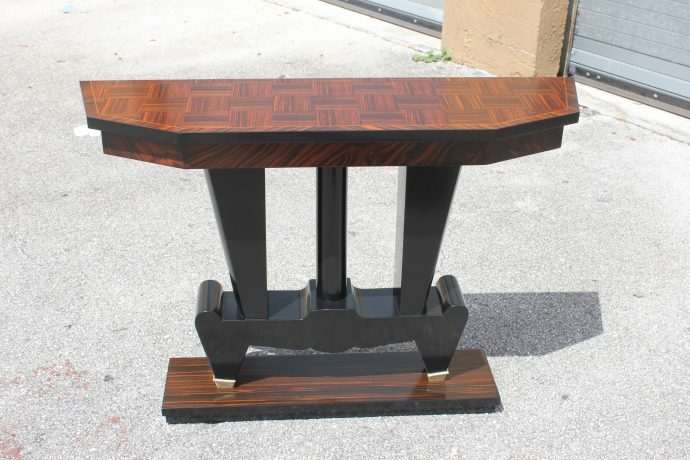 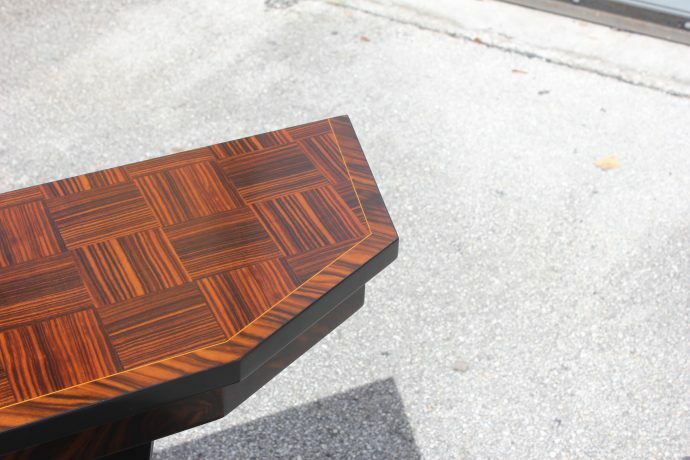 Spectacular Pair of French Art Deco Macassar Ebony Console Tables, circa 1940s. 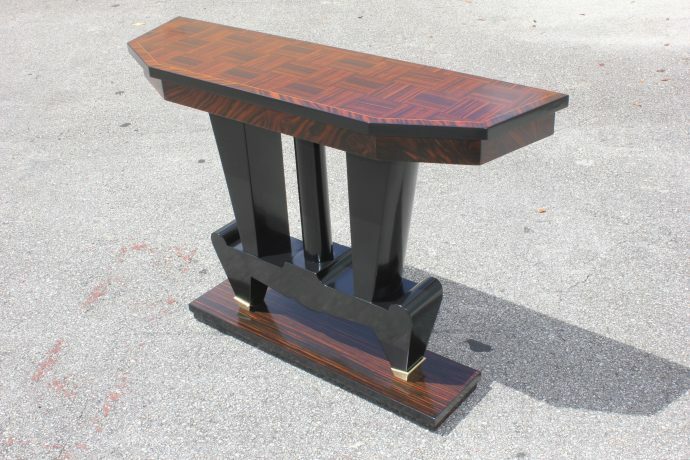 HomeConsole TableUnique French Art Deco Exotic Macassar Ebony Console Tables, circa 1940s. 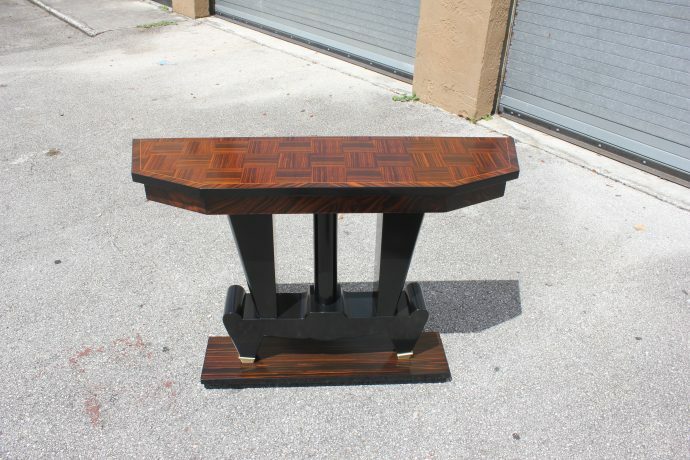 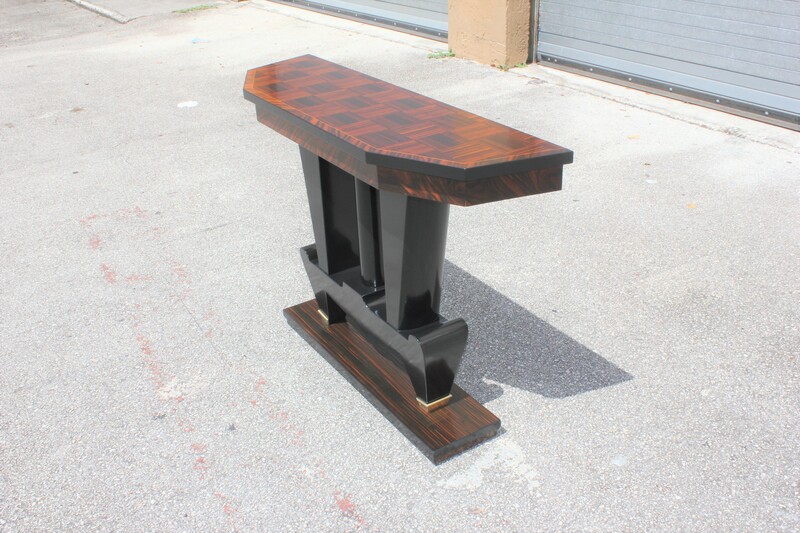 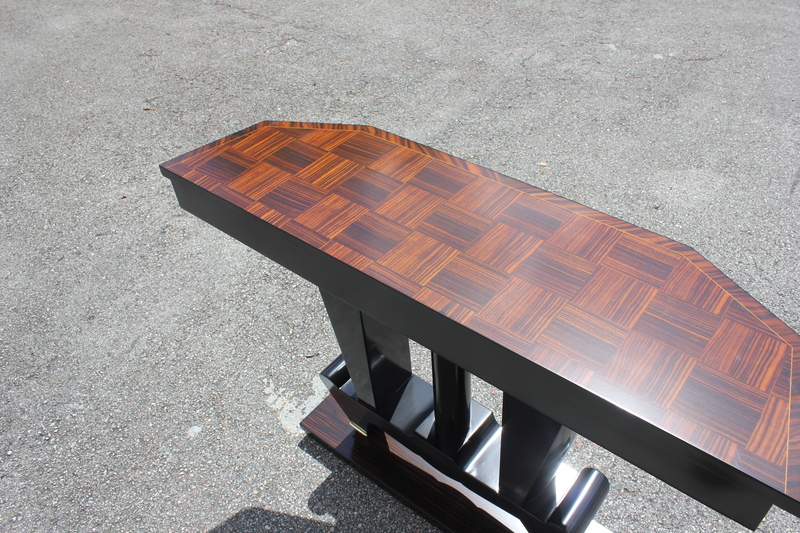 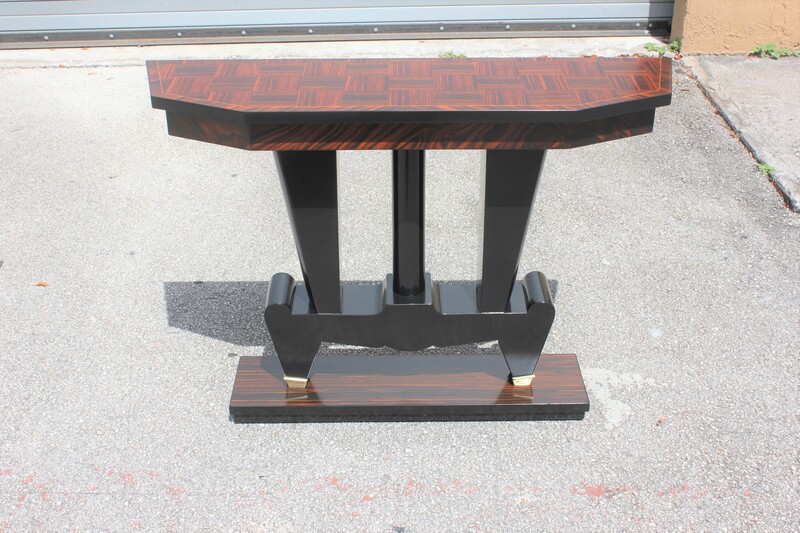 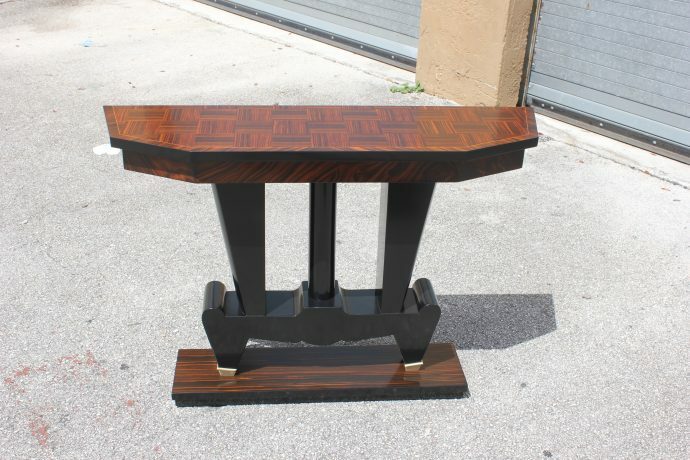 Beautiful French Art Deco exotic Macassar ebony console tables, circa 1940s. 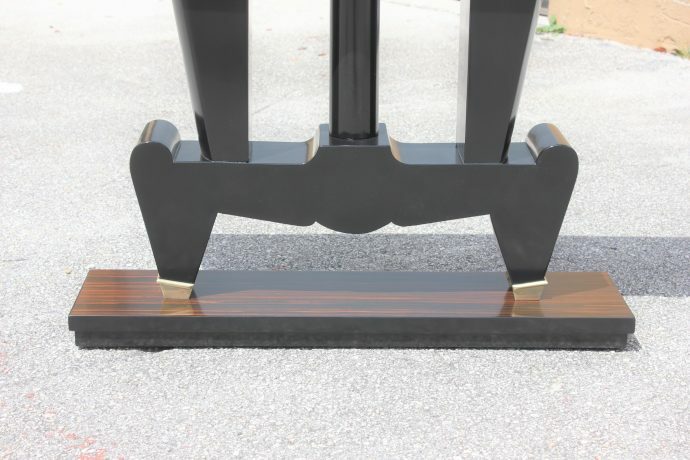 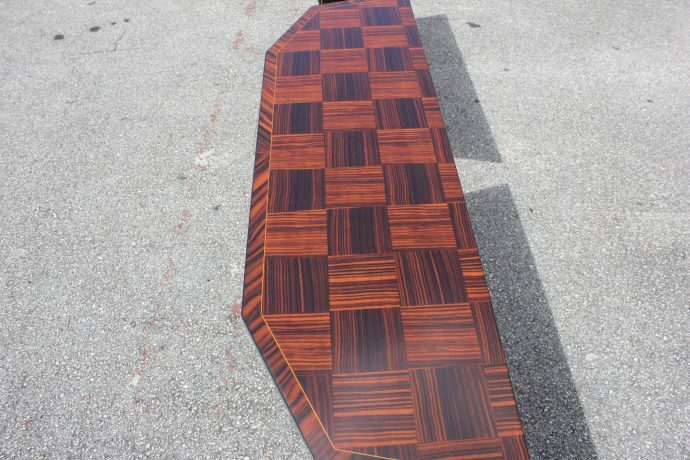 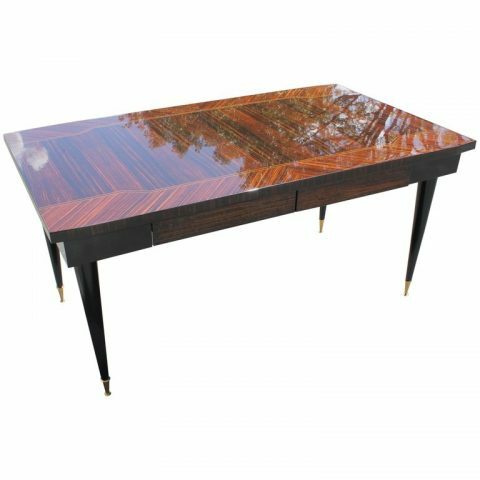 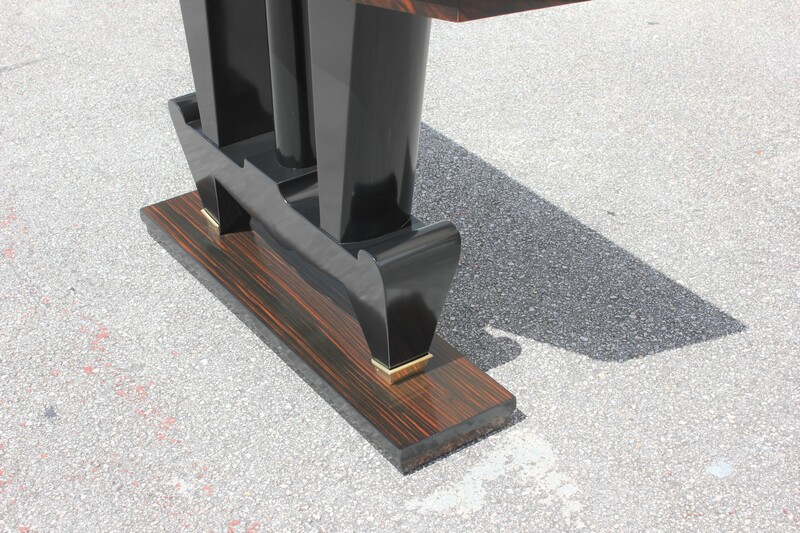 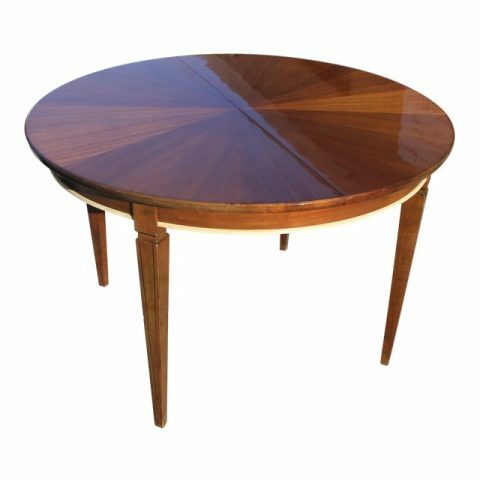 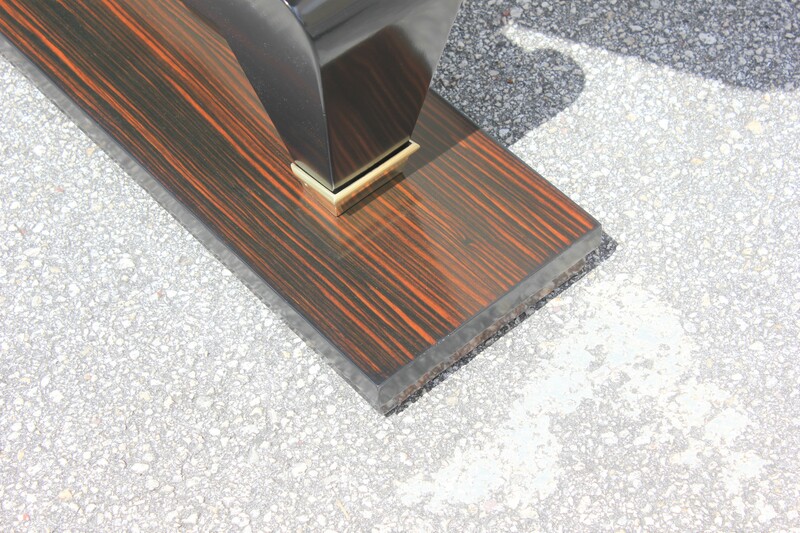 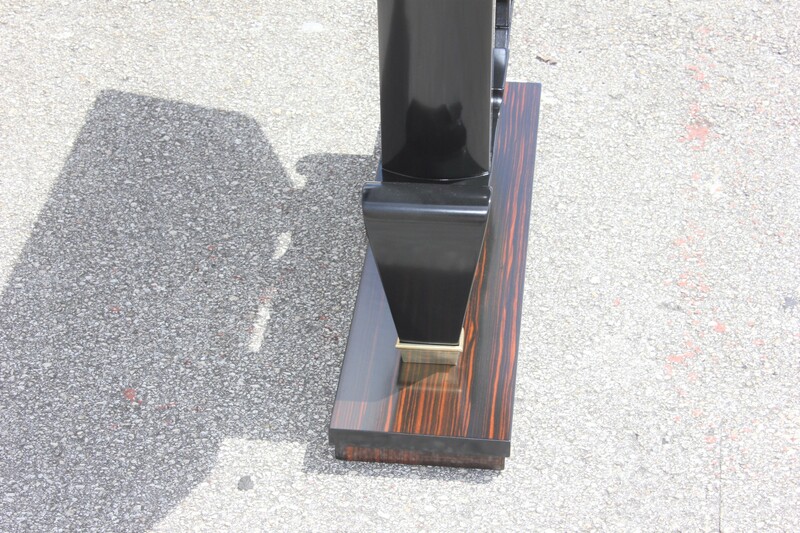 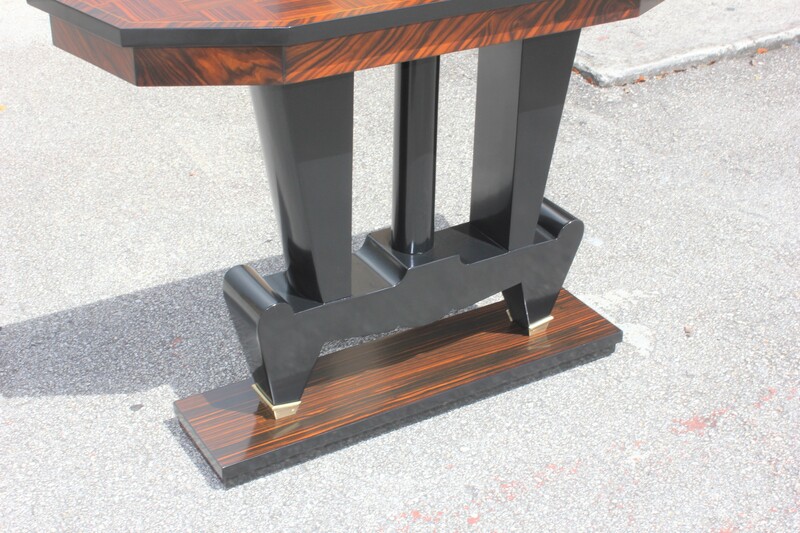 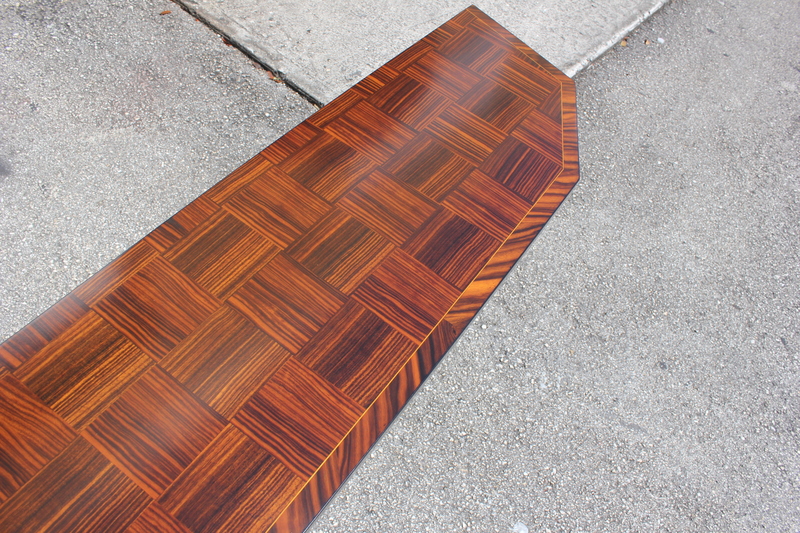 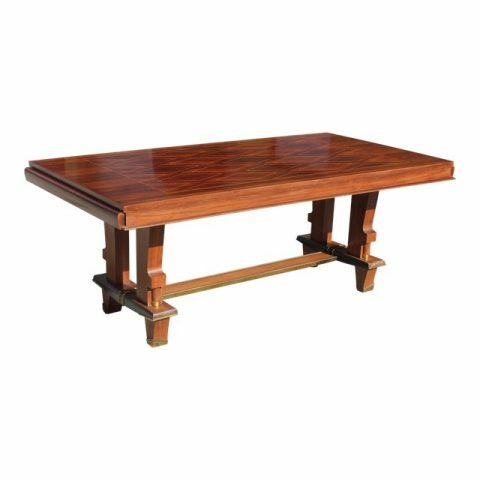 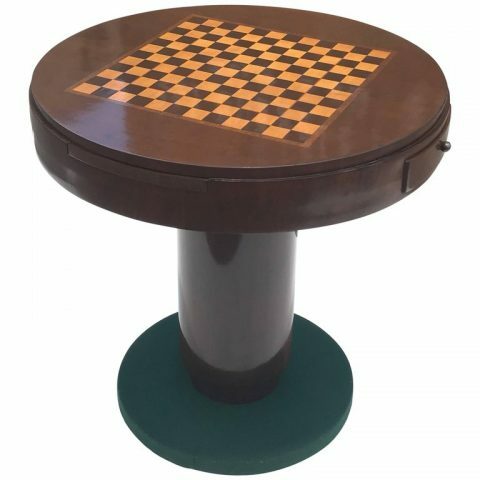 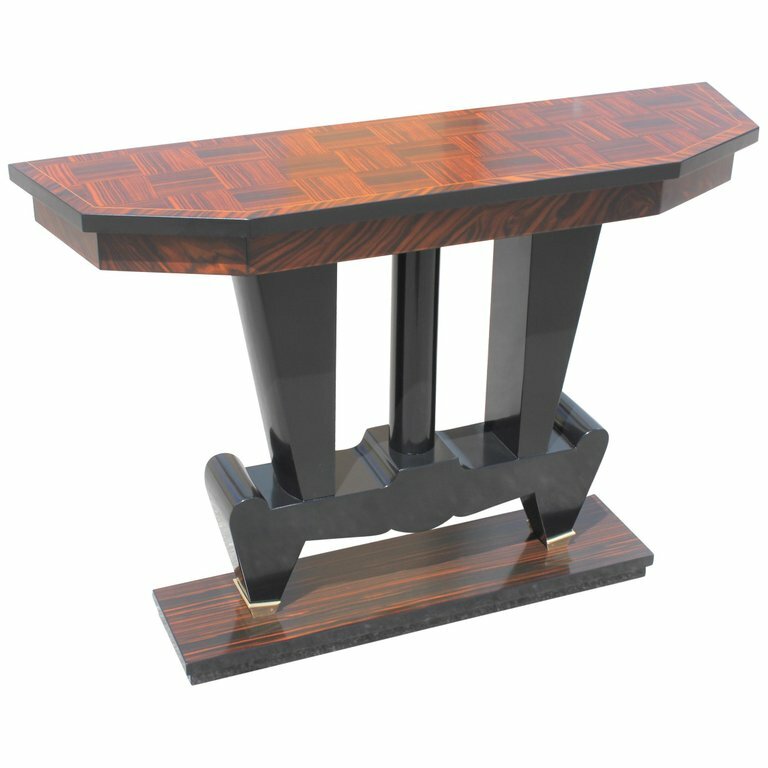 Beautiful Macassar ebony with black lacquer center base, finish in both side, beautiful bronze hardware detail, that rest on makes it ideal for use as a bedside table or for the foyer room or entry, a fine example of Classic, French Art Deco. 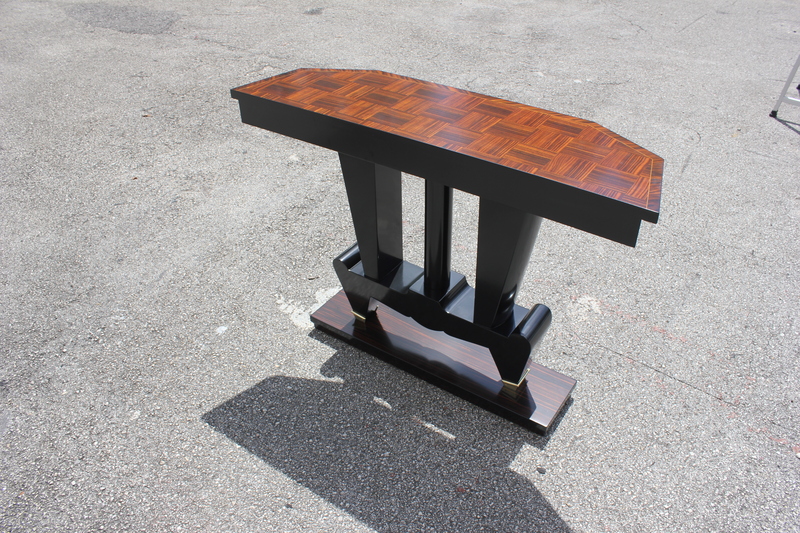 Dimensions 42.75″W × 12″D × 30 “H. 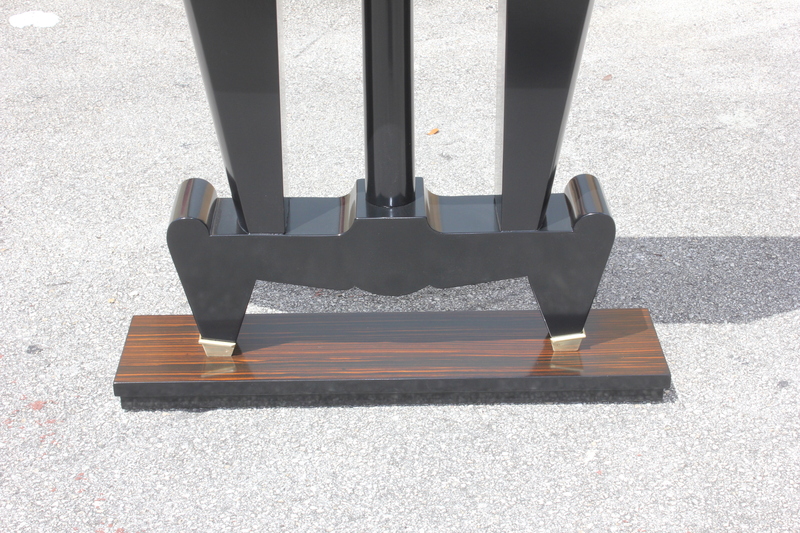 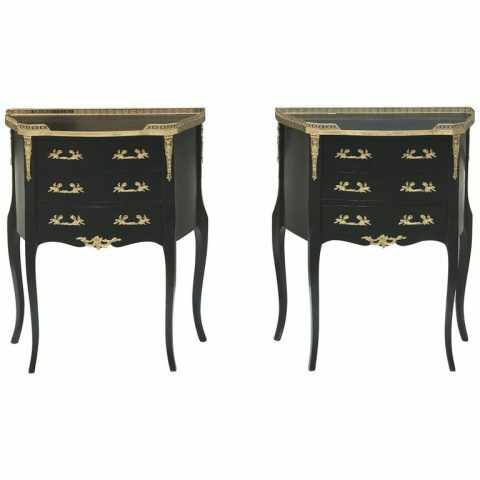 Monumental Pair of French Louis XVI Ebonized Nightstands by Maison Jansen. 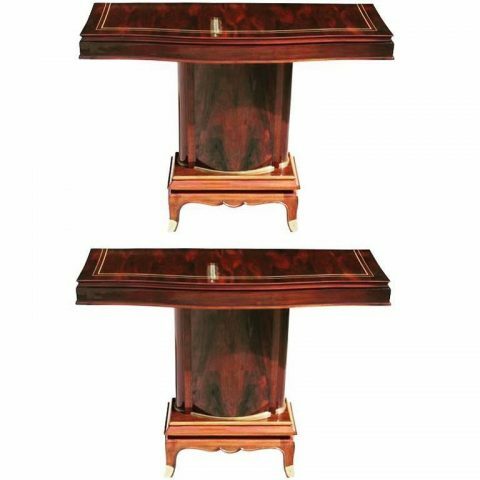 Pair of French Art Deco Palisander Console Tables by Jules Leleu, circa 1930s.